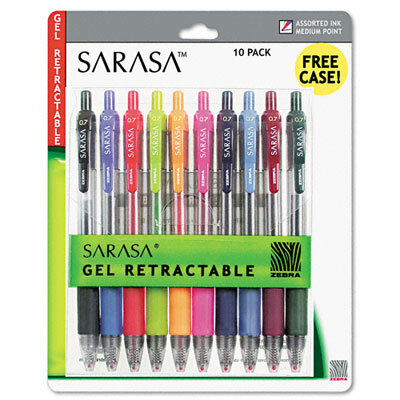 10-Pack Smooth-flowing ink delivers scratch-free writing every time. Vibrant gel water-based ink is acid-free and archival quality, keeping your documents clean. See-through barrel lets you know when you're running low on ink. Medium point.